The “Vote leave” campaign can now be expected to focus on the sensitive issue of “uncontrolled immigration” as its main argument for Brexit, with the latest figures on net migration to the UK rising to 333,000 – the second highest on record. Its other argument on loss of sovereignty from EU membership is already revealed as rather weak in this Telegraph article “How does the EU impinge on British sovereignty and if the UK votes ‘leave’, how much do we take back?”. 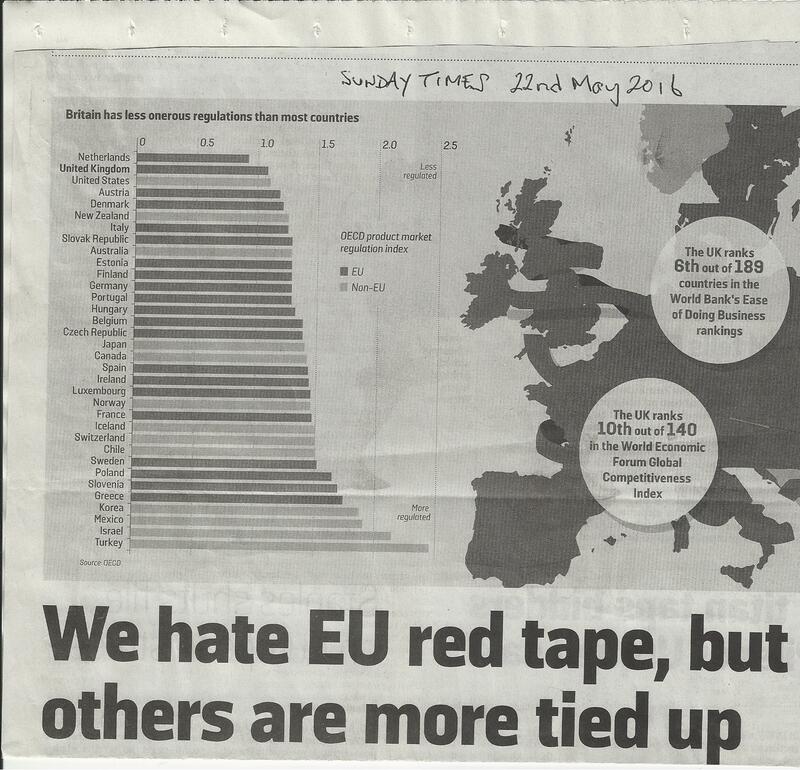 Britain has less onerous regulations than most countries, in or out of the EU. For product market regulation, Britain is the second-least regulated of 34 OECD countries, and marginally less regulated than America. For employment legislation, Britain is the fourth-least regulated. The UK ranks 6th out of 189 countries in the World Bank’s Ease of Doing Business rankings. The UK ranks 10th out of 140 countries in the World Economic Forum GGlobal Competitiveness Index. Britain could indeed be more competitive from improvements eg in education and skills, productivity, innovation and investment particularly in infrastructure; however, given its regulatory burden is lower than that of the vast majority of its competitors, blaming too much EU red tape for Britain’s failings is a flawed argument. This entry was posted in EU Ref: Supreme Court Challenge, Expats in High Court Challenge 16 March 2016, Gov. Response to Petition on EU Ref. 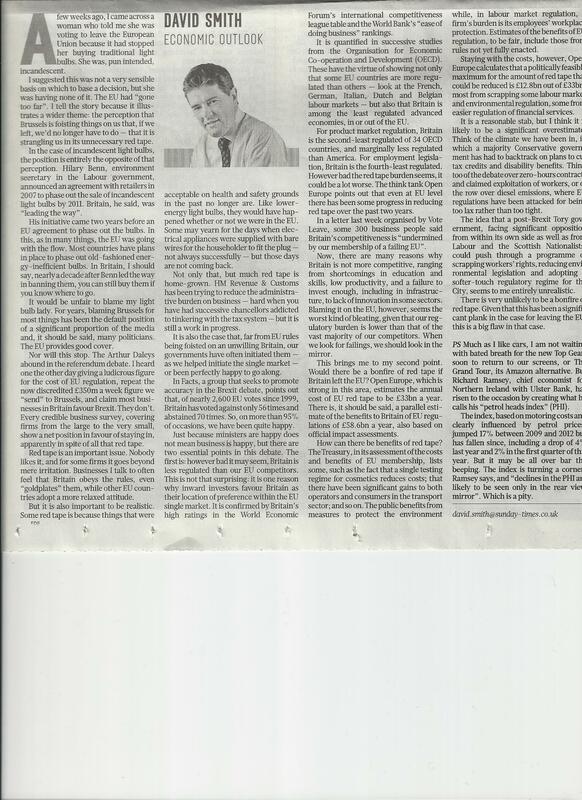 Franchise, Harry Shindler: Why Stiil 15 yr limit for EU Referendum?, Impact of Brexit on 2 mill Expat Brits, Red Tape No Reason to Leave EU, Votes for Expats-The Times 28 April 2016, Voting Rights and tagged British expatriates, EU Referendum. Bookmark the permalink.